DaVinci Configurator Pro is the central tool for configuring, validating and generating the basic software (BSW) and the runtime environment (RTE) of an AUTOSAR ECU. Circle model of typical AUTOSAR projects. The DaVinci Configurator Pro is used in the phase of ECU software integration. Switch the configuration phase for post-build loadable ECUs. This prevents prohibited changes to pre-compile parameters. Finely granulated storage of module configurations in separate files. This enables easy management with file-based configuration management systems. AUTOSAR Network Explorer is integrated in DaVinci Configurator Pro for editing network descriptions in ARXML format. Note: These functions are also enabled via a DaVinci Developer license. If you have a DaVinci Developer license, you do not need Option RTE for DaVinci Configurator Pro. Note: The Option WF is only required for creation of scripts. Execution of scripts is possible with DaVinci Configurator Pro even without Option WF. For configuring the MICROSAR basic software modules you need a compatible version of the DaVinci Configurator Pro. You can download compatibility matrices in the Vector KnowledgeBase. 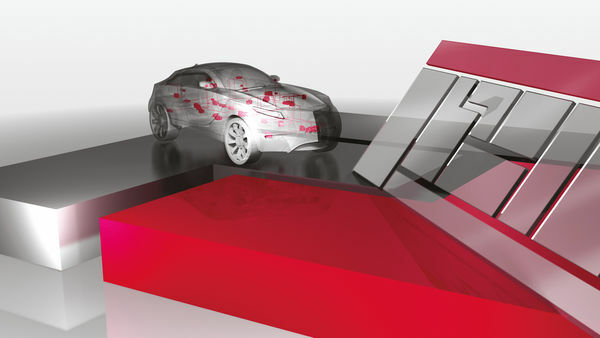 MICROSAR safe is presented - the Vector solution for safety-related ECUs according to ISO 26262. Learn the details of each module in the training portal.